Your action-packed paintball adventure begins as you and your entourage arrive at the paintball centre at 9:00am (9:30am for Muchea). 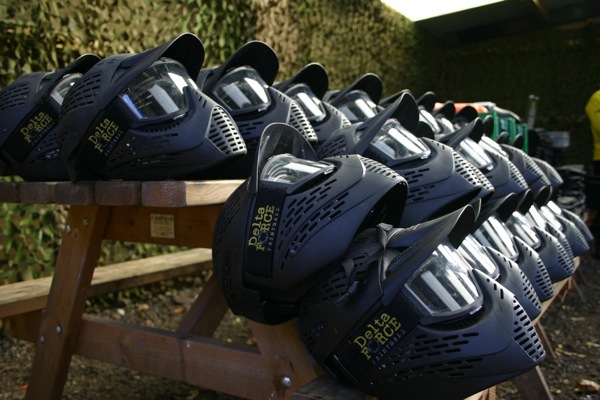 After your registration forms are completed, each player will be issued with all of the essential items needed for battle… full-head protection goggles, a full-length combat suit, custom-designed body armour and a 400-capacity ammunition holder. 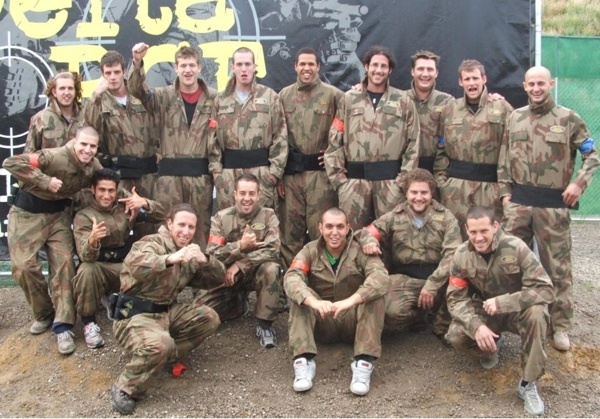 As you get kitted up you will be transformed into a camouflaged stealth army commando, ready to take on any challenge! Drawing inspiration from the M*A*S*H themed base camp, you and your team will strategise a way to be victorious on the day. 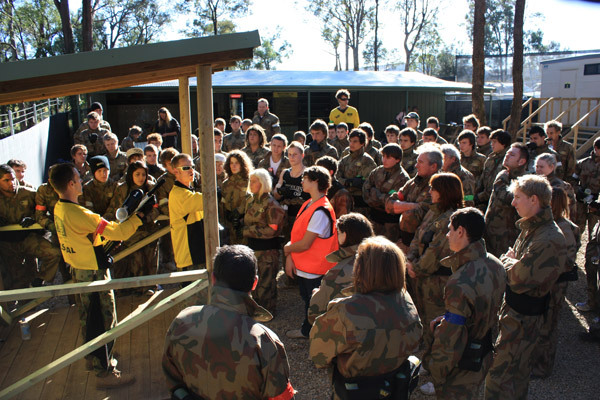 Before the action begins, all players must undergo an essential health and safety speech, detailing the rules and regulations of the day and informing you on how to use your paintball artillery. You and your team of highly skilled combatants will then proceed through to the gun zone where you’ll be issued with a 0.68 calibre Inferno Paintball machine gun. You can get your eye in for the mission ahead by enjoying a few practice shots at the shooting range. Once all players have their aim steady and goggles secured, the games begin! You will encounter 12 – 14 action-packed and exciting scenarios that’ll test the skills of both novice and experienced paintball players alike. With various points being awarded for each game, your team must take all possible chances to capture the ancient artefact from the pyramid, and not squander the chance to take out the fuel depot. A lunch break is taken for all players at approximately 1:00 pm, with drinks, chips and chocolate available for purchase. Alternatively, groups are welcome to bring their own lunch and snacks. Seating areas with picnic tables are available. 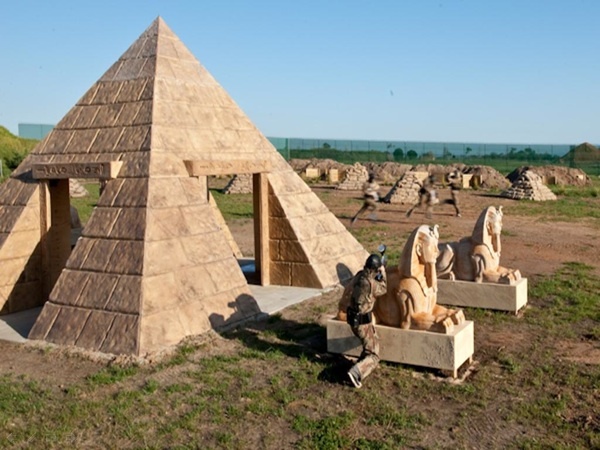 When the day’s games are completed, all players return to the base camp to hand in their paintballing equipment, changing back into their civilian status, and prepare for the fun and laughter of the afternoon presentation. The day’s activities conclude with the awards ceremony, and players can expect to leave Delta Force at approximately 4:00pm. If your group is limited by time constraints then an alternate departure time can be organised. See you again soon at Delta Force.